EDIT – Less than 30 hours after announcing this deal we are completely sold out. These radiators are made out of aluminum for maximum heat absorbtion and dissipation, and are absolutely perfect for use with 95-99 Dodge/Plymouth/Chrysler Neons with or without AC, and with single or dual fans. Once they sell out, the link above will no longer be valid. 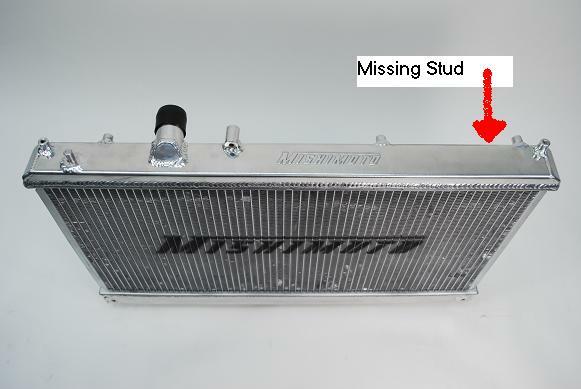 We will be stocking the new batch of Mishimoto radiators with the second stud shortly after we sell out of these. We’re bringing in a new radiator for the 03-05 Neon SRT-4 from Mishimoto. Diablosport Predator 03-05 SRT4 PACKAGE DEAL with PC USB Update kit now available! New MPX Radiator shroud for 03-05 Dodge SRT4 and 00-05 Neon! Cobalt Mishimoto Aluminum radiator brought to you by Modern Performance! Sneak peak photos!